Fashion.VC is an incubation platform focusing on fashion and lifestyle brands. At present, there are more than 100 brands and investors registered with Fashion.VC. Fashion.VC has successfully held the InnoBrand competition for two years in a row now, in 2015 and 2016. For the first time, the entrant entrepreneurs from the fashion and lifestyle industries were given a stage of their own, met with industry experts and financial investors, demonstrated the charm and skillsets of young brands, and received feedback and guidance from industry leaders. In 2017, Fashion.VC plans to widen and deepen the impact of the Third Annual InnoBrand competition. By attracting more makers of la dolce vita, and uniting with more finance and industry players, Fashion.VC hopes to seek out and support the most innovative entrepreneurs in the fashion and lifestyle industries. The Third Annual InnoBrand Competition is Here! In the previous two competitions, the judging panel shone with industry stars. Led by ZhenFund co-founder Xu Xiaoping, nearly 100 influencers from the finance, business, fashion, culture and media industries deliberated between the entrants in the preliminary and final rounds. Nearly 300 brands participated, of which several received funding and went on to have initial success. Luxe.CO, the most influential business media platform for fashion, will provide full coverage of the competition alongside other media partners. ★ Indexed on the Fashion.VC website (the only venture investment platform and incubator of fashion and lifestyle brands in China), your brand will be on the radar of angel investors and potential partners. ★ Opportunities to be covered by Luxe.CO, China’s leading business media platform for fashion in China. ★ A candidate for inclusion in the ‘2017 Top Chinese Emerging Consumer Brands’, to be published by Luxe.CO this year. To make InnoBrand 2017 accessible to entrants located in different parts of the world, this year we will hold regional competitions, including two overseas in England and the United States, as well as two to three online contests for remote entrants. During the Preliminary Round, InnoBrand Week will be held in key cities. A themed competition, on the ‘Legacy of Chinese Culture and Handicraft’, will take place in Suzhou. Innovative fashion and lifestyle brands that cater to young consumers’ spending habits and tastes. While focused on young brands, mature brands that fit the brief are also welcome to enter. Sub-categories include fashion and accessories, food and beverage, home furnishing, fitness, travel and hotels, arts and entertainment, Chinese culture and the handicraft legacy. Innovation: competitive differentiation regarding product design, functionality, service, marketing, technology, supply chain, etc. Screening: After submitting the full application, entries will be reviewed by the InnoBrand committee. Brands that qualify will enter the Preliminary Round. Preliminary Round: Brands will participate in a roadshow at a designated time and location according to their region (or online). Contestants will be scored regarding team credentials, marketability, innovation and business performance by the panel of judges. Winners will proceed to the Final Contest. Final Contest: Brands will compete in the InnoBrand Final Contest in November in Beijing. Judges will score based on team credentials, marketability, innovation and business performance, and will decide the first, second and third prize winners. 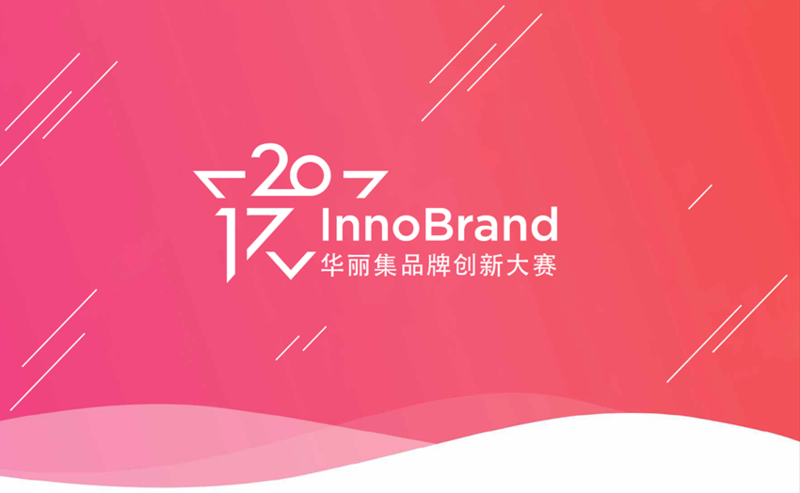 19 March: InnoBrand starts. Call for entries opens. The Fashion.VC committee will review entrants and announce the brands that have been shortlisted. August to October: Roadshows to be held in Beijing, Shanghai and New York. November: Final Contest and Awards Ceremony to be held in Beijing. Finalists will present themselves on stage. The panel of judges will decide and announce the winners. Regional Awards; Final Contest: First, Second and Third Prize Winners. Luxe.CO is China’s most influential online media platform, providing business information and intelligence for Chinese fashion and lifestyle creatives, entrepreneurs, investors and consumers. Luxe.CO publishes the latest news and analysis on fashion and lifestyle brands, investment and innovation. We are also a user-friendly database with in-depth information on fashion and lifestyle industry transactions. In 2015 and 2016, Luxe.CO held Global Fashion Innovation and Investment Forum two years in a row, bringing together investment professionals from top tier VC & PE firms, fashion brand retailers and fashion and lifestyle entrepreneurs to explore and discuss various topics related to innovation and investment.